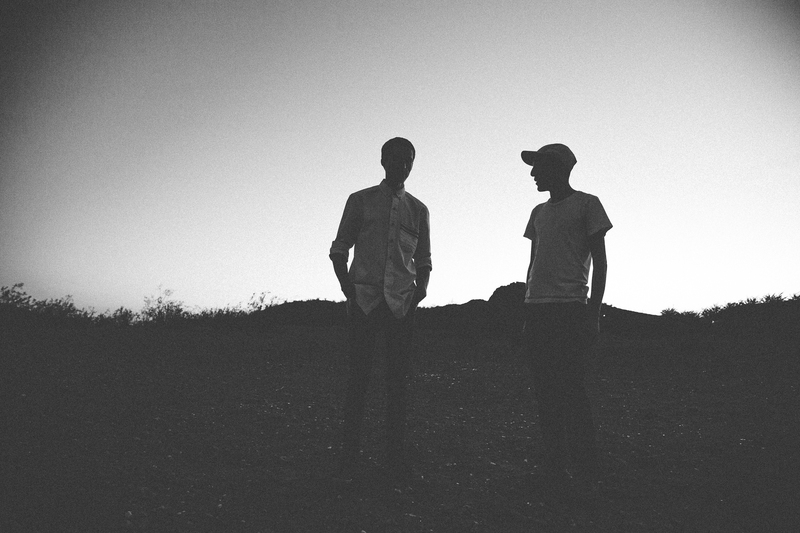 Jared and Michael Bell emerged as Lymbyc Systym nearly a decade ago, when the unfortunately-named “post-rock” scene was close to the end of its golden age. Bands like Mogwai and Explosions in the Sky had been exploring the dynamic between quiet tranquility and thunderous noise for years, and Lymbyc Systym added a fresh face to a genre that was starting to feel a bit one-dimensional. For one, they threw guitars out of the picture, recognizing that drums and synthesizers would do fine on their own. They also cut the track lengths down, consolidating the genre’s tendency towards patience-testing track lengths. While in many ways, Lymbyc Systym seemed best equipped to survive the downhill slide that the genre has inevitably fallen into, it’s a minor miracle that the duo has continued for so long. Jared and Michael are brothers, yet they live thousands of miles apart, Jared in New York and Michael in Arizona. Writing and recording separately, they have released an album and toured every few years, otherwise leading separate lives in contrasting environments. Blood connection and physical separation are central themes at the heart of Lymbyc Systym’s latest album, Split Stones, out now on Western Vinyl. The album opens with “Generated Bodies,” bursting to life with militaristic snare blasts before taking off at a wild gallop. This energy continues on “Morning Flats,” a bit calmer and simpler than the first, giving Jared’s melodies more room to shine. The maniacally varied arpeggiation on “Paraboloid,” results in the band’s most danceable tune ever, while on “The Erratic Shift” an acrobatic xylophone sound runs rampant. One important tweak to the formula is track length; while in the past, the band’s songs have consistently averaged out at three to four minutes, here it’s more like six. The tempos are quick, and there’s a a sense of liberation from every structure they’ve previously adhered to. Split Stones does not plod along at any point or let a single moment hit without a tangible emotional impact. It’s bursting with ideas and sheer exuberance. The album’s title track also serves as a thesis statement, featuring a prominent vocal sample borrowed from a relaxation tape their mother listened to when they were kids. While actually singing might be going too far for Lymbyc Systym, the soothing spoken word is a perfect added touch for the band’s emotionally charged instrumentals. It’s also a relic of the unbreakable connection the Bell brothers will always share, no matter what lies ahead for Lymbyc Systym.